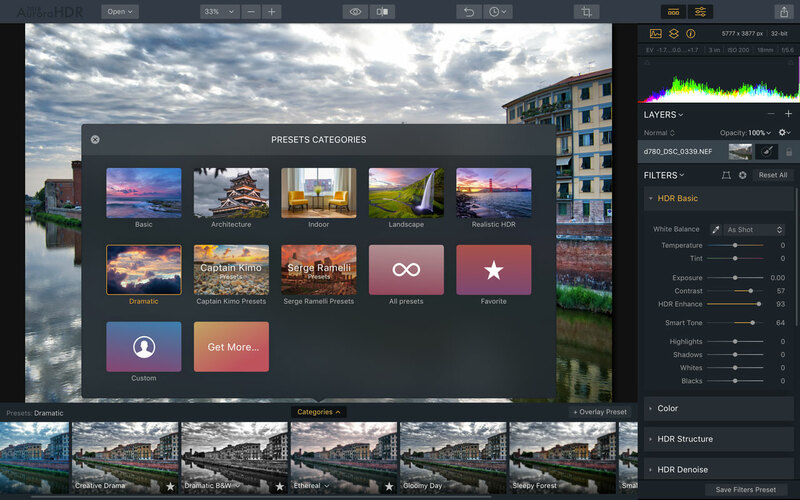 This Aurora HDR 2018 review covers the latest version of MacPhun’s innovative and popular high dynamic range tool, and the big news with this release is not just the software improvements, which are substantial, but the fact that it’s now available in both Mac and PC versions. 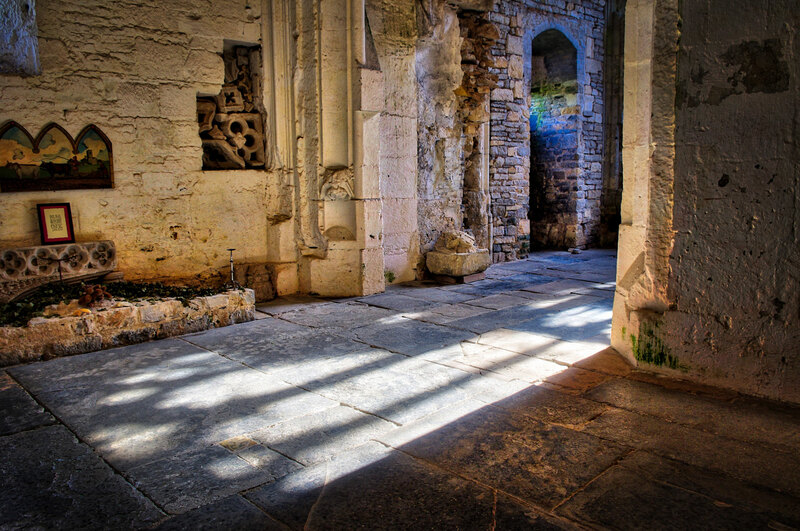 HDR photography is massively popular, as a technical tool for handling a very high brightness range, as a striking and vivid special effect or something in between. It’s never been difficult to create wild and wacky HDR effects with a whole bunch of other HDR apps, but it’s all too easy to end up with a super-saturated, overcooked HDR ‘look’ that is not to everyone’s taste, and the tricky part is creating images with more subtlety and depth. 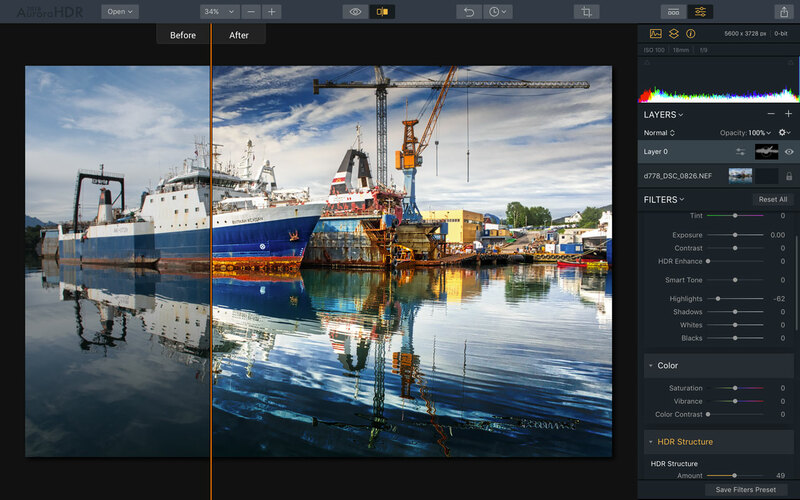 Aurora HDR 2018 has a new tone mapping engine that addresses this directly. The software works either as a standalone program or as a plug-in, it’s affordable, it’s understandable (reasonably) and can deliver great results. This review is based on the Mac version, the assumption being that the Windows version will look and behave in an identical fashion. First, though, here’s a selection of sample images I made while writing this review. 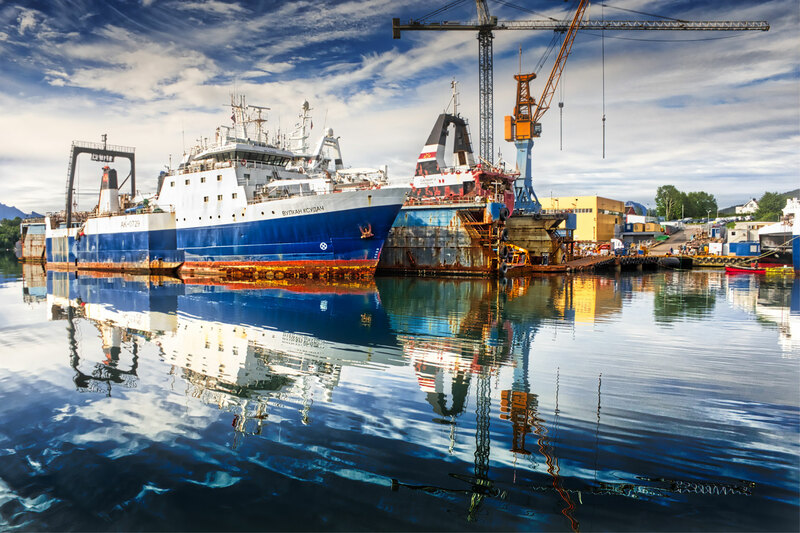 A dockyard in the Norwegian fjords captured on a still morning and processed from a single NEF (RAW) file. The same image processed once with a heavy graduated sky effect (left) and a second time with an imported sky (right) added using a layer, mask and blend mode. 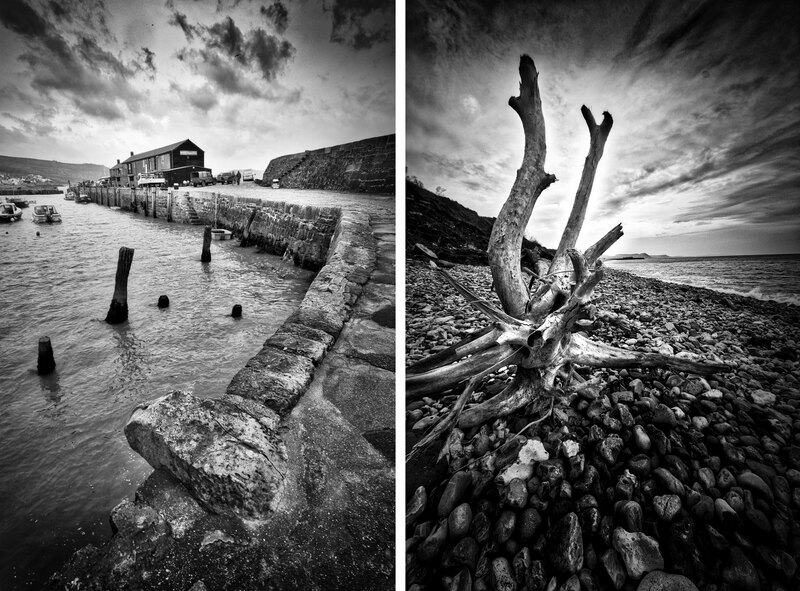 Aurora HDR is also great for black and white images, especially with the new dodge and burn controls. This sunlit interior posed some serious lighting challenges, but Aurora HDR 2018 shows it can produce rich, natural-looking results. I have to say I’m hooked. Aurora HDR 2018 has given me some of the best results I’ve been able to achieve so far with HDR software. It does take a little work, and there are some technicalities to take on board, but that’s all part of the HDR challenge. The only difference between using Aurora HDR 2018 as a standalone app or a plug-in is how your initial bracketed exposures arrive in the software and where they’re saved when you’re done. Here, I’m using it as a standalone program, so your first job when it launches is to find the series of bracketed exposures you want to merge and drag them onto the window. You can carry out tone mapping and apply HDR effects to single images too, and RAW files work best for this because they can reveal a wider brightness range than JPEGs. Nevertheless, you’ll get the best results from bracketed exposures. These exposures need to be merged into a 32-bit HDR image. The merge options haven’t really changed since last time and they’re pretty much the same across most HDR applications. There’s an Alignment checkbox that you need to check if you shoot your HDR brackets handheld, as I do, but there are three more on a pop-up ‘gear’ menu. You should use the Ghosts Reduction box if you’re likely to have objects that move between frames, like passers-by, leaves or flags, and Color Denoise and Chromatic Aberration Removal boxes that I always keep checked. There are a few settings to pay attention to when merging images – Alignment is the most important if you took your pictures handheld. This is what happens if you don’t use the ghost removal option when there are people in the scene. The merge process takes about one minute on my MacBook Pro, working with three 24-megapixel NEF (RAW) files. It’s a bit of a bore, but tone mapping is a hardware intensive process that takes a little time, so Aurora HDR 2018 is not alone here. 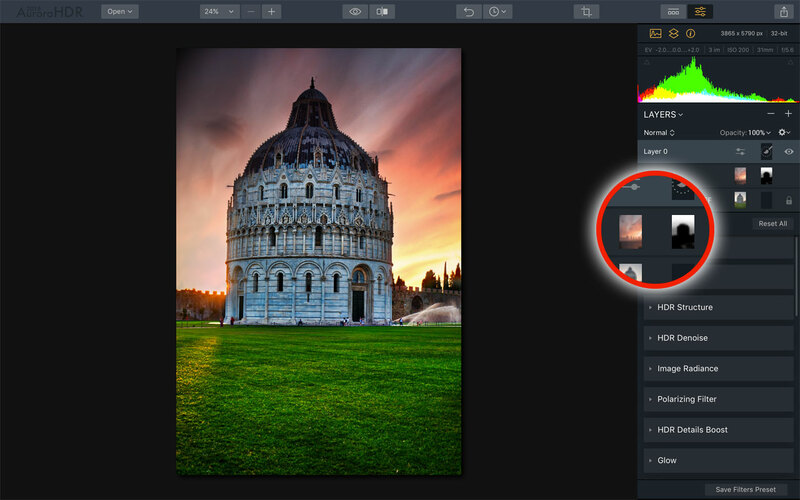 Once the image is merged it’s displayed in the main window and you can then either choose a preset effect in a number of different categories, or add adjustments manually in a series of tool panels – in Aurora HDR 2018, these have been renamed Filters. Aurora HDR 2018 comes with a collection of preset effects, though you may get better results by making your own. If I’m honest, I’m not overwhelmed by the preset effects, many of which look quite similar. It’s only in the Dramatic category that you get any strong sense of variety, and if you’ve just come straight from HDR Efex Pro in the Nik Collection, for example, you might be a little disappointed that there isn’t a wider range of ‘looks’. But don’t let this put you off. The presets are fine as a starting point, and when you take control with the manual filter settings you really start to find out what this software can do. 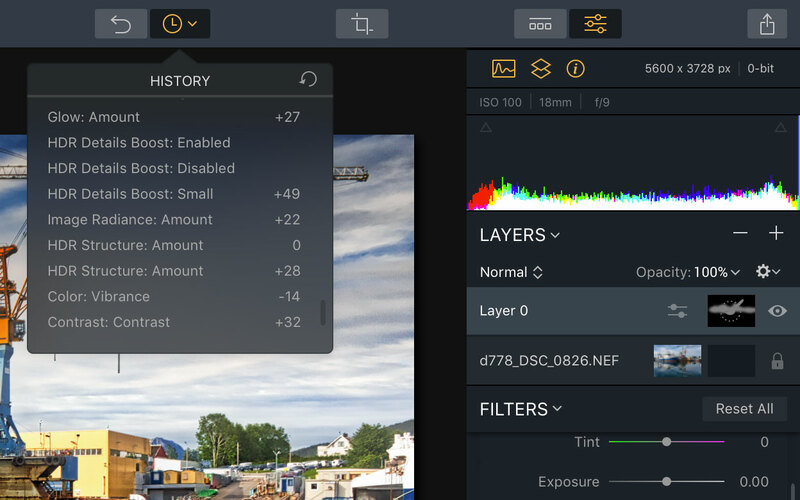 These manual filter settings are mostly quite logical, and you’re not likely to need all of them to get the result you want. Getting the perfect ‘look’ can take a little while, though, so once you develop an effect you really like, make sure you save it as a custom user preset for future use. Aurora HDR 2018’s new tone mapping process gives you a much better starting point than before, and although the initial results look similar, the 2018 version is much less prone to ‘glow’ effects around large objects. With the 2017 version, good as it was, you always had to be careful to keep this under control. 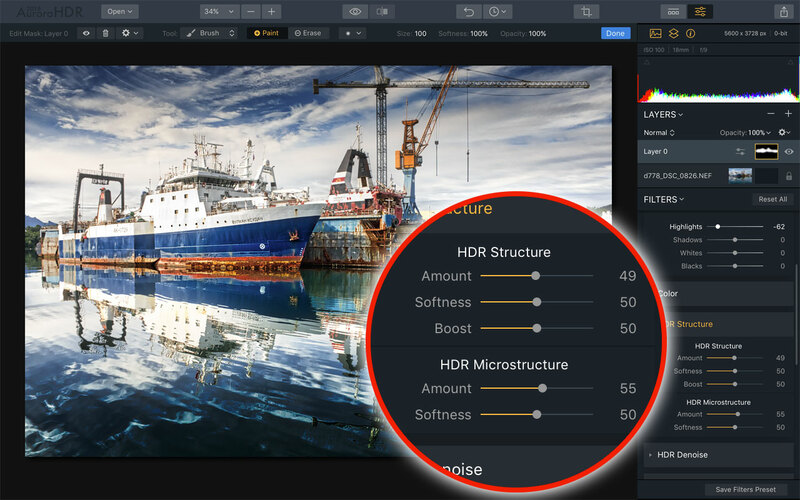 Then, with Aurora HDR 2018’s new HDR Basic panel alone may have all the controls you need to get a powerful, realistic-looking image straight away. The HDR Enhance slider adds punchy localised contrast, the Smart Tone slider lifts dark shadow detail, and the Exposure, Contrast, Highlights, Shadows, Whites and Blacks sliders take care of the fine tuning. The different options for enhancing image structure can get quite confusing. There are still perhaps a few too many detail enhancement tools/filters. 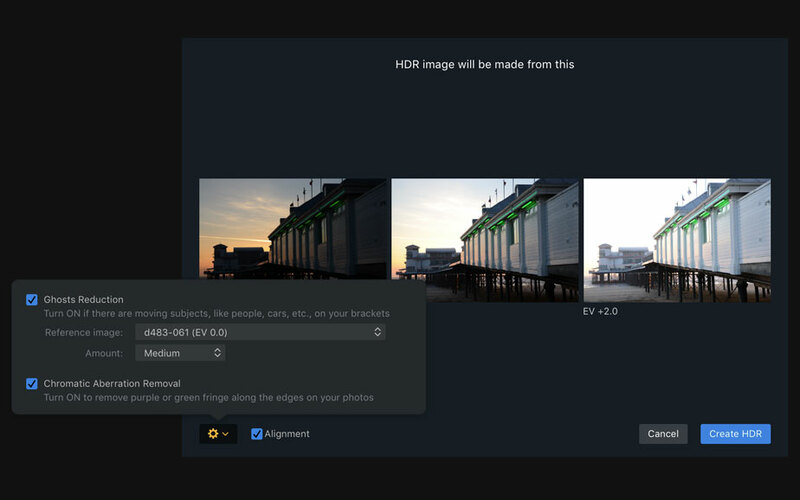 The HDR Structure panel has sections for HDR Structure and HDR Microstructure, but there’s also an HDR Details Boost panel with sliders for Small, Medium and Large details. These all increase definition in different ways and on different scales, and it feels like there are too many choices. The Image Radiance and Glow panels both add a kind of soft glow to the image – I think of the Radiance adjustment as a dark glow, and the Glow adjustment as a light glow. Both can add to the slightly other-worldly atmosphere of many HDR images. The Image Radiance filter gives images an ethereal ‘dark glow’ and Aurora HDR 2018 now has perspective controls for straightening horizons and keystone distortion. The Polarizing filter darkens blue skies in a pretty heavy-handed way, so it’s best used with care, while the Color Contrast slider in the Color panel just seems to intensify blues and yellows. I’m not a big fan of either, but different photographers may find different ways to use them. There is a Top & Bottom Tuning panel which adds a graduated filter effect, but you can get a little more control by using Aurora HDR 2018’s internal layers system – you can add both Adjustment and Image layers, and if you add an adjustment layer with the Tone Curves filter and a graduated mask, you can create your own, more powerful graduated filter effects. Indeed, many HDR images depend on localised adjustments like these, and Aurora HDR 2018 adds a new Dodge and Burn panel which could prove really useful. You can use an adjustable brush to Lighten or Darken different parts of the picture in the same way you might have dodged and burned different parts of a print in the darkroom. It’s a really handy addition, and you can make your adjustments on a new layer if you don’t want to commit to them just yet. Other new tools in Aurora HDR 2018 include manual chromatic aberration removal sliders – very handy, since HDR and structure adjustments can really exaggerate colour fringing – and perspective transform sliders for adjusting horizontal and vertical perspective, angle and scale. These are very useful for interior or architectural shots where straight lines and vertical verticals make a big difference to the picture’s appearance and success. The new chromatic aberration removal options are useful because HDR processes really exaggerated colour fringing. You probably won’t find all these filters equally useful. We all work in different ways and look for different styles of imagery, so it’s likely you’ll quickly pick a handful of favourite filters and work exclusively with these. It’s worth just drawing attention to Aurora HDR 2018’s layers system. It’s not there simply for local adjustments – though it is very good for this purpose alone – because you can also add preset HDR effects on new layers and then blend them with the layer below using opacity, blend mode and masking controls. 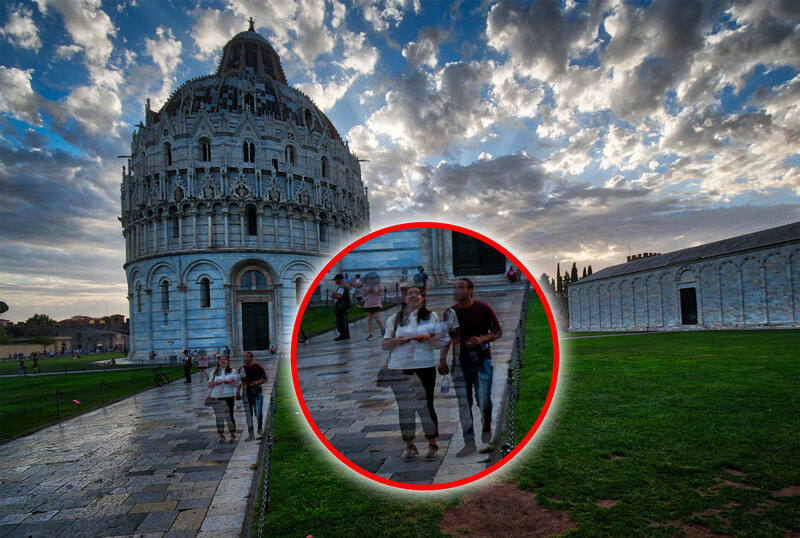 These adjustment layers are more than you might be used to in Photoshop. 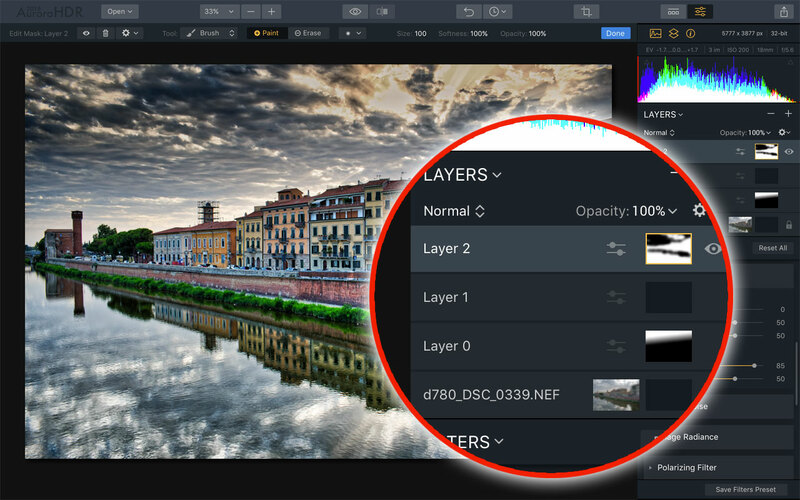 They don’t just offer a single adjustment, like Curves or Hue/Saturation, they each offer full access to all of the manual HDR filter panels. And you can add new images to a new layer too, so if you need to blend in a new sky to finish off your image, it’s easy to do. 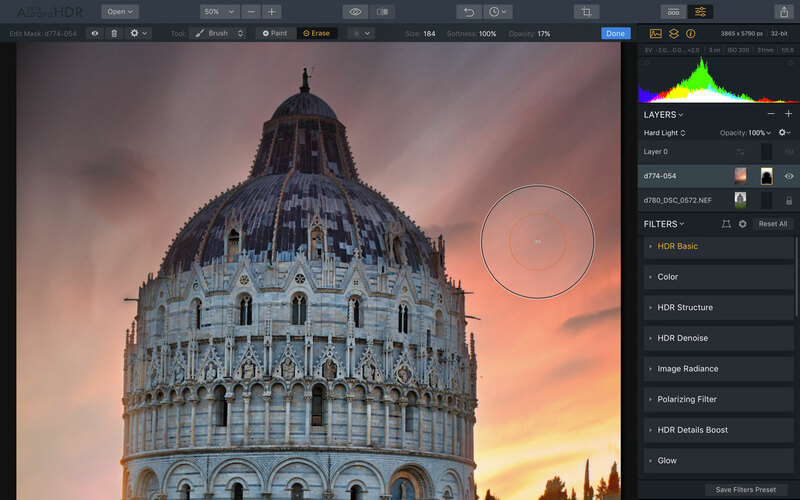 Aurora HDR 2018 prompts you to choose the image you want to add via a folder navigation window and will even scale the new image to fit the layer automatically. This picture’s been enhanced by a whole series of adjustment layers, each of which can have its own layer mask and can use any or all of the Aurora HDR 2018 tools/filters. This shot has a different sky added in as a new layer and then blended in using Hard Light mode and the masking brush. 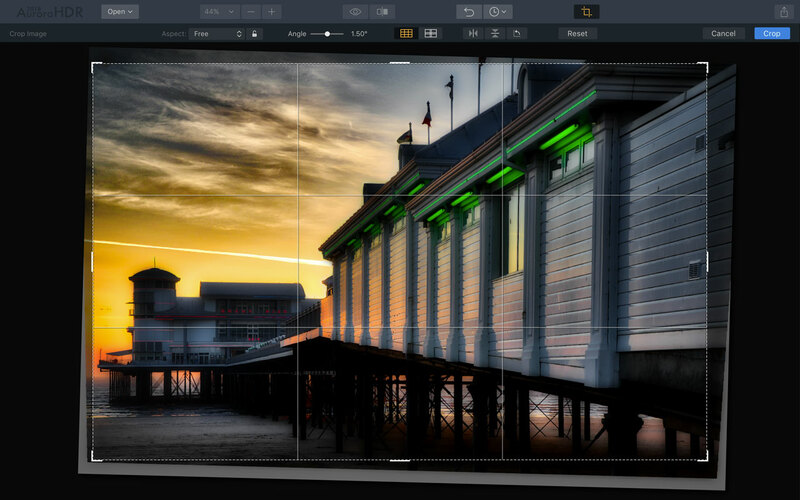 Aurora HDR is not just a tool for merging images and then passing them on to another editor for finishing off – you can carry out all the final adjustments you need to make right here. And, if you do need to do anything specialised like object removal or bokeh effects, Aurora HDR 2018 can also use Skylum Luminar (if installed) and all the MacPhun Creative Kit tools (Intensify, Tonality, Snapheal, FX Photo Studio, Focus Pro, Noiseless) as plug-ins. Good to know, even if it does mean spending extra money. HDR is not an ‘either-or’ technique. Many HDR images are very obvious, it’s true, but HDR as an exposure and processing technique is much more mainstream. Every time you pull back the highlights in a RAW file, open up the shadows and add a little clarity to an image, you’re entering the realm of HDR imaging. 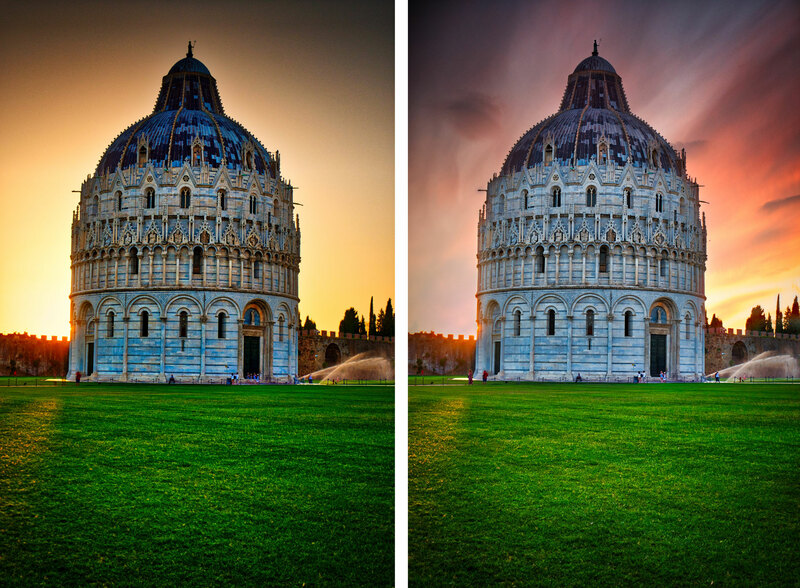 Many ‘regular’ images benefit from HDR style adjustments. And while Aurora HDR 2018 may not look like a mainstream photo editor, it does many of the things you’d do in a regular editor, including tone and colour adjustments, curves, cropping and more. You might not use this program for routine enhancements, but it’s perfect for images with a little too much contrast for comfort or, at the other end of the scale, pictures which just look flat and dull and need a good kick of localised contrast to bring them to life. So don’t write HDR off as a specialised effect outside of mainstream photo editing. It’s now a really broad-spectrum technique that can be subtle or spectacular, and its core tools have applications for everyday photography too. Taken a wrong turn with your editing? The new History panel will let you retrace your steps. If you’re not sure how your adjustments are going, the split before/after view will remind you how far you’ve come. This is awkward. I gave Aurora HDR 2017 a score of 91% late last year. It’s not that it didn’t deserve it back then, it’s just left me with not much room for manoeuvre. And that’s a bit of a pain because Aurora 2018 is substantially better. Of all the changes that have been made to the controls and the sprinkling of useful extra options which have been added, it’s the improved and much more natural initial tone mapping that’s made the biggest difference. I really rated Aurora HDR 2017 at the time because it was the best HDR tool I’d used up to that point. Some of the presets were a bit wild but even though that typical HDR ‘glow’ effect was never too far away, it was possible to get some really nice HDR looks that were better and easier to achieve than those my previous favourite tool, HDR Efex Pro. 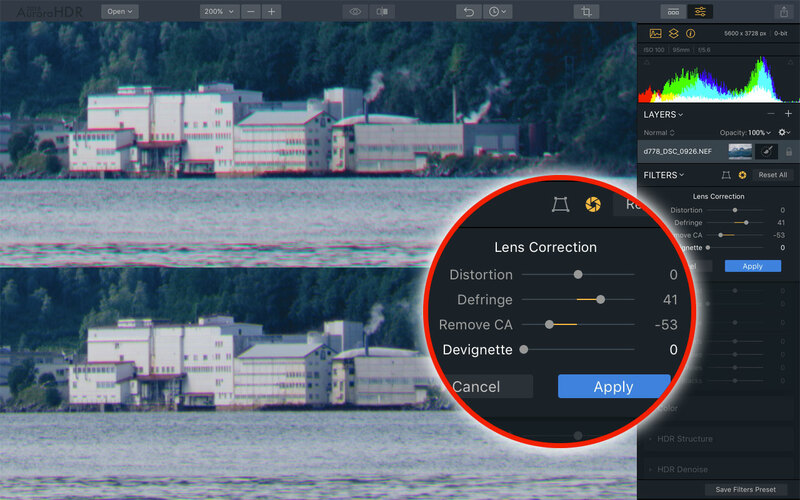 But Lightroom CC’s photomerge tool is now very good at merging exposure sequences into easily editable and natural-looking images, and the Tone Mapping Persona in Affinity Photo is also very good at that initial tone mapping. The bar, in other words, has been raised. So while I can only give Aurora HDR 2018 a few more percentage points, it’s actually a much better program. In fact, I’d go as far as to say the results have been transformed. The adjustment tools aren’t so very different, but the raw material – the initial merged, tone mapped image – is now much, much better. Some regular image-editors can do a decent job with HDR, including Lightroom photomerge and Affinity Photo’s Tone Mapping persona, and HDR Efex Pro is free as part of the Nik Collection, but for HDR fans looking for the ultimate in finesse, power and control, Aurora HDR 2018 will take some beating. Bought Aurora 2017 myself some month ago and did not really use it often. I‘m a bit surprised about the upgrade policy of MacPhun for Aurora and I feel a king of Adobe upgrade enforcement, which I do no more like. I clearly prefer as e.g. Affinity values customers without yearly versions. As a result I’ll focus more on Affinity Photo and get used to archive great results with their software and other alternatives. Hi James. Thanks for your comments. In fairness to MacPhun I think it’s developed a much better tone mapping image for Aurora HDR 2018 which perhaps justifies a new version. But I really like the tone mapping in Affinity Photo too. I would have appreciated some examples of how well deghosting works. I am happy with SNS-HDR’s tone mapping but have to use Photomatix for deghosting. An all-in-one program would simplify my work process.